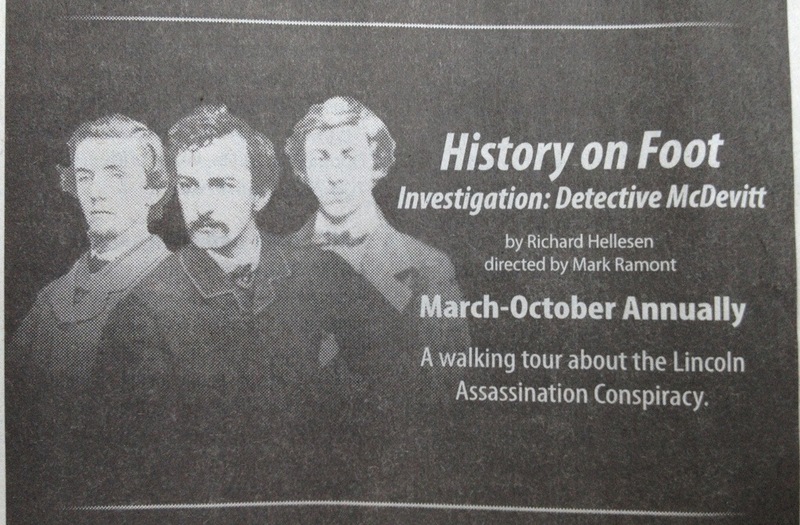 I like seeing the rarely used wanted poster image of David Herold in the advertisement for Ford’s Theatre walking tour and the small note on the bottom of the Surratt House, “Ask about our popular John Wilkes Booth Escape Route Tours”. They are quite popular, indeed. 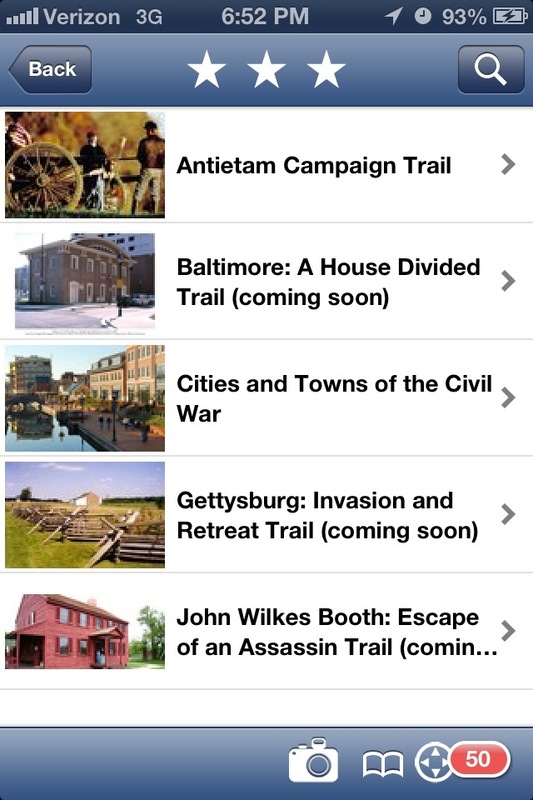 Sadly, the Booth escape route portion of the Civil War Trails app is, “coming soon”. 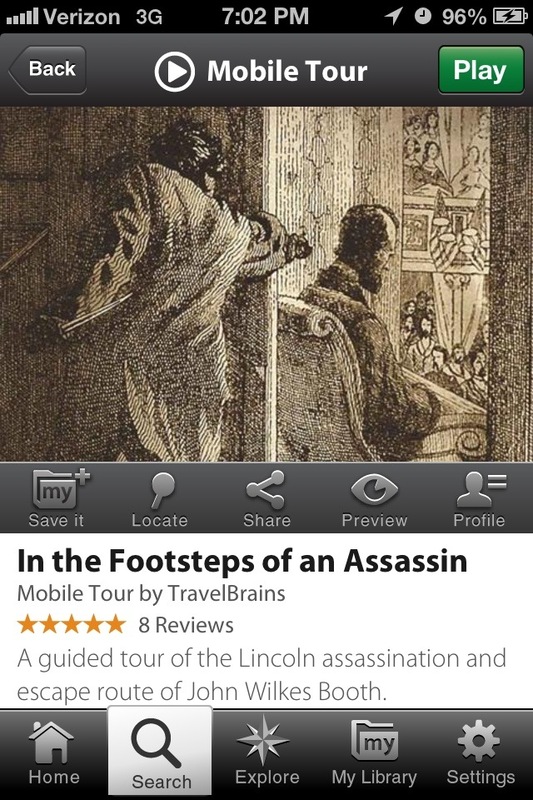 So, as of now, Michael Kauffman’s app is still the only mobile app out there for the assassination route. The app itself is free and called, “MyTourGuide” and then it costs $9.99 to purchase the escape route tour. There are a few mistakes in it, (the Herndon House narration doesn’t work, the locations of some of the sites are a bit off) but it’s a nice start for those who want/have to experience Booth’s escape on their own. Once the Civil War Trails app is updated, I’ll review that one further. 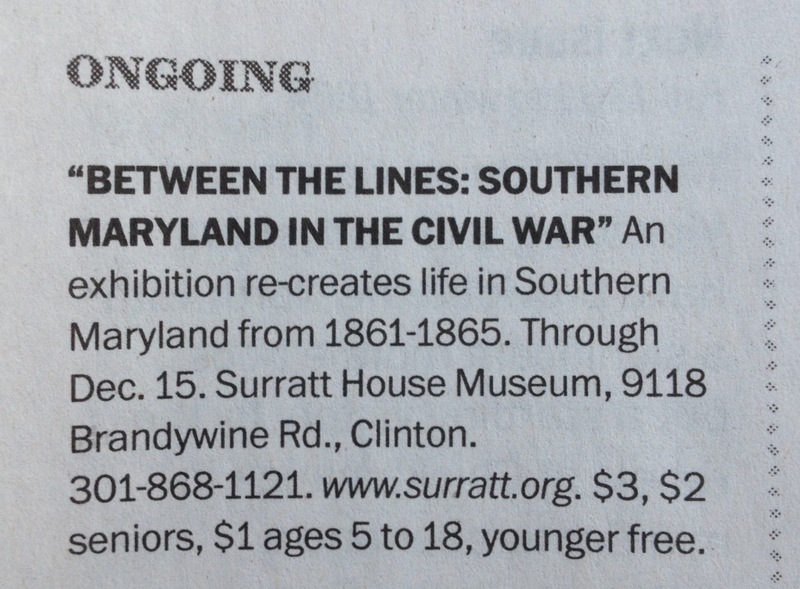 God bless the Surratt Society, the associate organization affiliated with Surratt House, for their generosity in footing the bill for 90% of the paid advertising done by the museum. We are a government owned facility and do receive assistance from the Public Affairs and Marketing Division of that agency. The county and state offices of tourism do support us nicely also, but the bulk of paid advertising comes from the coffers of the Surratt Society (courtesy of the Booth Tours that they sponsor and the generosity of over 1500 members’ dues worldwide. I’m glad that my dues can help spread the word of the Surratt House to more and more people. It’s so great to see advertising for it. Yes, it is free Betty. 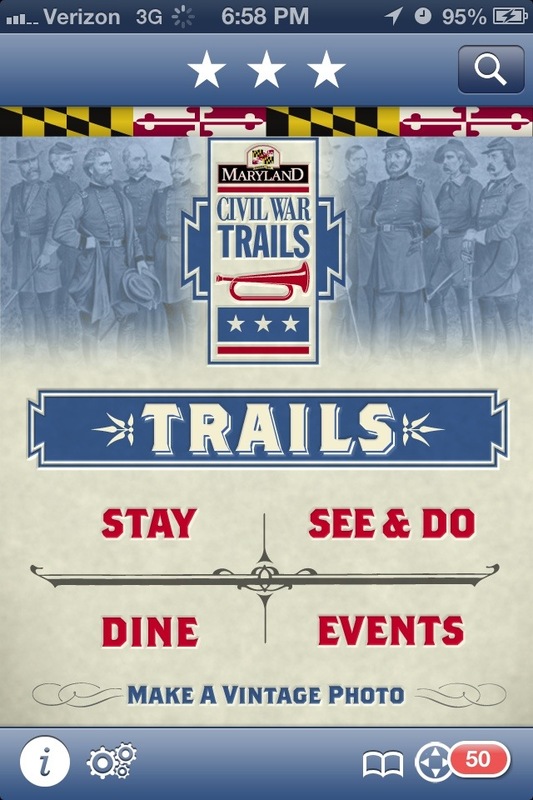 Search Civil War Trails and you’ll find it. Hopefully it’ll be updated with the Booth escape route soon. I’ll have to check that out, Betty. One app that I love is a new one called Rego. Rego is an app for bookmarking locations on a map. While conceivably used to mark and remember places you’ve been, I’ve been using it as a mobile “bulletin board map with pins in it”. 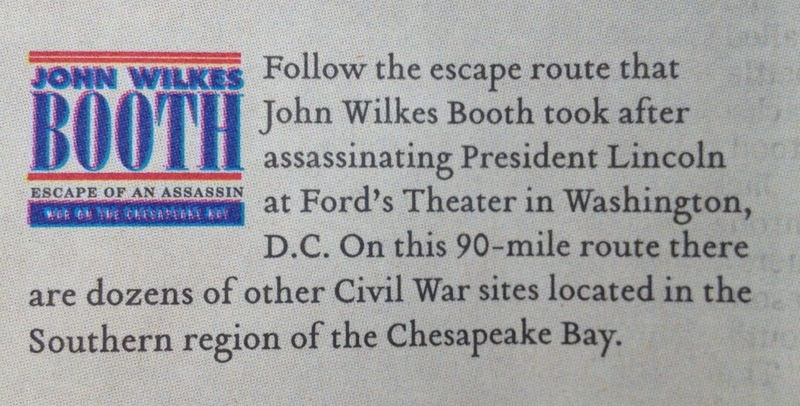 I’m going through and adding the locations of assassination related places I want to visit. That way, whenever I go in a trip, or we go for a drive, I can see if there are any assassination related places nearby that I want to visit. I already used it coming back from Gettysburg when we stopped at Hartman Richter’s grave. Rego costs $2.99 but I think it’s worth it. Dave, I see you’ve marked some sites west of the Mississippi. What are they? My list is always growing Wes and not everything is related to the Lincoln assassination. One of those three flags is marking the 6th Floor Museum in Dallas, Texas. The other two are Lincoln assassination related. One marks the location of Boston Corbett’s dug out home in Kansas. The other marks the grave of James O. Hall in Oklahoma. I figure every Lincoln assassination researcher has to pay their respects to him personally. do, the crowds really got to us, surely would have made a visit.